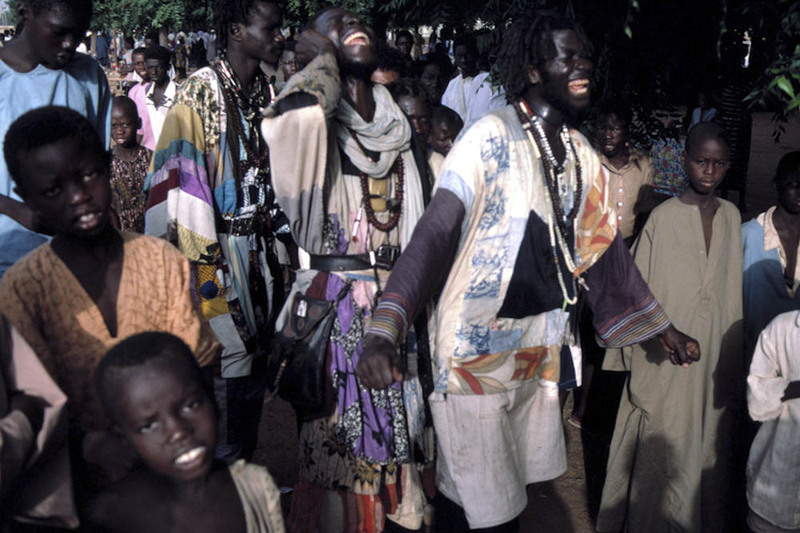 Baye Fall in trance possession: The Baye Fall is a branch in the Mouridiyya that considers service as worship. While the disciples work they repeat the Islamic credo, “there is no divinity, but God”. They are typically dressed in their patchwork, multi-color garments, with dreadlocks. They beat the drum while singing and dancing.